Kate Bush is an English singer/songwriter, best known for her debut single, 'Wuthering Heights', as well as her songs 'The Man with the Child in His Eyes' and 'Babooshka'. According to Celebrity Net Worth in 2013, Kate Bush has a net worth of 60 million USD. Kate Bush was born in Sidcup, Kent, Hannah and Robert Bush. From the age of eleven, Bush began teaching herself how to play the piano, and practiced playing the organ in the barn behind the family house. She also studied karate at a young age, and began learning how to play the violin as well. She studied at the Catholic girls' school, St Joseph's Convent Grammar School, in London throughout the 1970s. While at school, Bush wrote a number of compositions which she wanted to record and release. At 16, a family friend passed on her demo album to David Gilmour, the guitarist for Pink Floyd. Gilmour helped Bush record a more professional-sounding demo tape to be passed on to record companies, one of which being EMI Group, who signed Bush for a record deal. It would still be two years before she was to start recording an album. February, 1978, saw the release of her debut studio album, while she was 19 years old, despite some of the songs being written when she was only 13. Her debut single from the album was 'Wuthering Heights', a UK and Australian number one hit. Bush responded badly to being forced straight into a new album, 'Lionheart', which was released in the same year as her first. She responded by leaving EMI to create her own publishing and management companies so that she could retain complete control over her career. In 1980, Bush recorded her third album, 'Never for Ever'. The album made her the first female artist to release an album at number on in the UK albums chart. Two years later, Bush put her own recording company to use and produced her first album, 'The Dreaming'. Despite entering the US Billboard 200 list, the album became her lowest selling at the time. Bush's fifth studio album was released in 1985, and was entitled 'Hounds of Love'. The album was recorded at a private music studio, built near her home to save on the costs of hiring a recording studio. The following year, she released the compilation album, 'The Whole Story', which served as a greatest hits CD. In 1989, she released her sixth studio album, 'The Sensual World', which became her bestselling album in the US. It wasn't until 1993 that her seventh album, 'The Red Shoes', was released. The album featured appearances from Lenny Henry, Prince and Eric Clapton, amongst others. The album left the established feel of her previous albums, but having a simpler feel that could be more easily performed live. Bush then disappeared from the public eye entirely. In 2005, 12 years later, Bush resurfaced with her eighth studio album, 'Aerial', before composing a song for the 2007 film, 'The Golden Compass'. In 2011, she released the album, 'Director's Cut', which contained remixed and remastered versions of songs recorded for 'The Sensual World' and 'Red Shoes'. Six months later, she released her 10th studio album, '50 Words for Snow'. In March, 2014, she announced a concert entitled 'Before Dawn', at the Hammershmith Apollo theatre, and the tickets for the show sold out in 15 minutes of being on sale. The concert took place between the 26th August and the 1st October 2014. Her husband is Dan McIntosh. In 1998, she gave birth to their son, Albert. Bush clarified remarks she made in a 2016 interview. Kate Bush has issued a new statement clarifying her political beliefs, emphasising that she is not a Conservative Party supporter and that a magazine interview from a few years back had taken her words of support for Prime Minister Theresa May “out of context”. An interview in Canadian magazine Maclean’s back in November 2016 caused consternation among her fanbase when it appeared to frame the conversation as Bush endorsing the Tories. “We have a female prime minister here in the UK. I actually really like her and think she’s wonderful. I think it’s the best thing that’s happened to us in a long time. She’s a very intelligent woman but I don’t see much to fear,” the 60 year old singer said. Bush, who made her breakthrough with 'Wuthering Heights', is participating in a project for the Bradford Literature Festival this year. Four decades on from her memorable debut single ‘Wuthering Heights’, about the eponymous 19th century novel, Kate Bush has announced a second tribute to Emily Brontë, providing the words for a permanent art installation dedicated to the Brontë sisters on the Yorkshire moors. The iconic English singer, 59, is joining the poet laureate Carol Ann Duffy, Scottish makar Jackie Kay and novelist Jeanette Winterson in a summer project commissioned by the Bradford Literature Festival to mark the bicentennial of Emily’s birth. Each of them has been asked to write a piece of poetry or prose which will then be engraved on stones positioned on the eight-mile route between the sisters’ birthplace and the family parsonage – the landscape similar to that of Emily Brontë’s 1847 novel. Winterson will mark the Brontë legacy as a whole, Duffy will celebrate Charlotte, Kay has Anne and Bush has Emily. 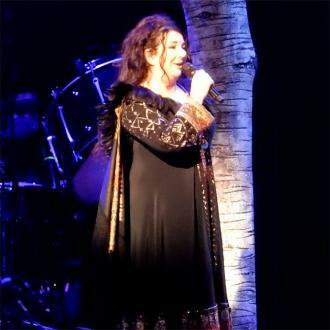 Kate Bush's representative has addressed claims she wasn't invited to perform at Coachella Valley Music and Arts Festival. The music legend was reportedly disregarded by the American festival's organisers who are believed to have not booked her as a headliner during the annual music bash because they didn't think the audience would ''understand'' her, according to NME. However, the 'Wuthering Heights' hitmaker's representative has spoken out about the situation, and has denied rumours the vocalist was ever in negotiations to take part in the extravaganza, which will take place in Indio, California, on two weekends; from April 14 to 16 and again from April 21 to 23. I terms of appreciation I think it's safe to say that when it comes to Kate Bush I was a very early adopter. I loved her from the moment I first heard her voice and pretty much bought everything she released, including her first live EP and even a book of poetry! Many years on, for both of us, Kate decided to once again take to the stage and took up residency at The Hammersmith Apollo for 22 sold out shows back in 2014. 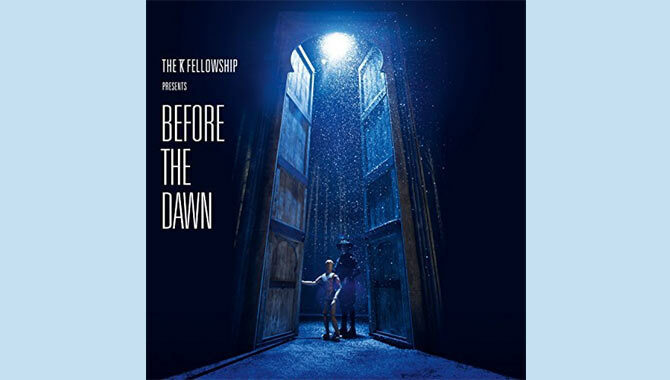 Now, more than two years since those legendary performances, Kate Bush has released 'Before The Dawn', a set of albums which captures those live shows. I wasn't fortunate enough to see any of Kate's live gigs so was very much looking forward to hearing her latest release. Having not heard any of the live recordings before I was preparing myself to be objective rather than gushing or sentimental. It saddens me to say so but I needn't have worried. 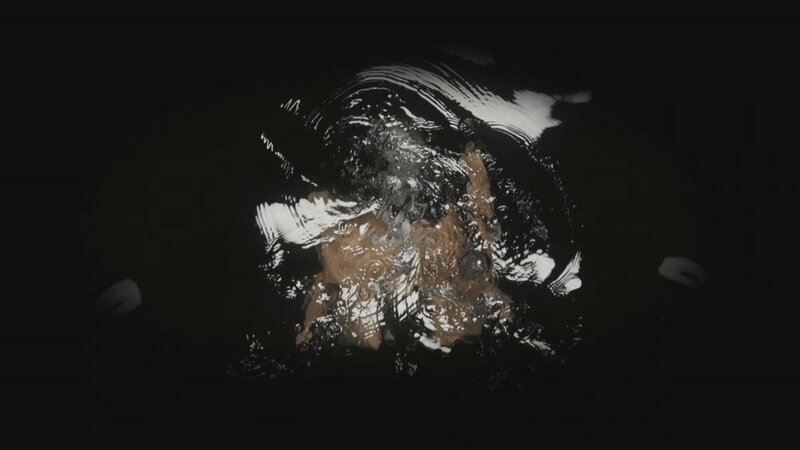 On many levels 'Before The Dawn' is brilliant; breath taking even. It is superbly performed, beautifully sung, theatrical and, as you would have suspected played out with faultless precision. The live recordings are no doubt a very accurate representation of the show itself. Split into three acts it covers an initial, more conventional, live set followed by 'The Ninth Wave' (Side 2 of Kate's 1985 album, 'Hounds Of Love') and finally 'A Sky Of Honey' (Side 2 of Kate's 2005 Album, 'Aerial') Kate has said that she found the first part of her show the most difficult and that she didn't want it to be at all conventional, and, that it had to have a "narrative" running through it. The shows themselves were widely critically acclaimed, described as "stunning", "remarkable" and even "staggering". Unfortunately, as accurate a document as they maybe, they are not what we have here to entertain us. We are missing the drama, the theatrics, the visuals and the atmosphere. 'Before The Dawn' is a lot like listening to a piece of theatre where the actors are no doubt at the top of their game but when you're removed from the moment you lose, in part, the very essence of the piece they're presenting. In an interview with a Canadian magazine, Bush described having a female prime minster in Britain as "wonderful". Kate Bush has drawn criticism from music fans for voicing her support for the new prime minister Theresa May, having described the Conservative Party leader as “wonderful” in a new interview. Speaking to Canadian magazine Maclean’s this week, the reclusive singer said that having a female prime minister is the “best thing that’s happened” to Britain “in a long time”. It was her first set of shows in 35 years. 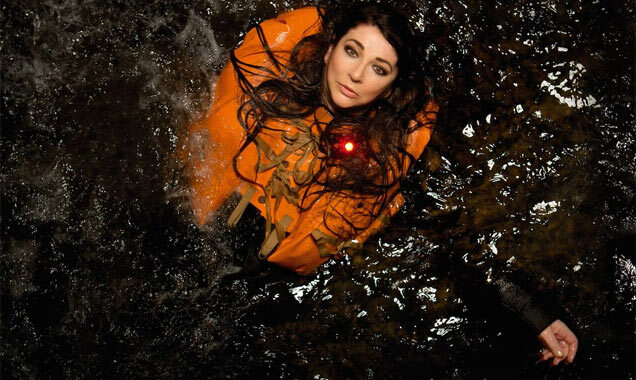 Ahead of the release of her live album 'Before the Dawn', Kate Bush has revealed in a rare interview that she was terrified about performing live for the first time in 35 years, 2 years ago. Despite the fact that the 22 Hammersmith Apollo shows became a critical and commericial success, it wasn't an easy feat to begin with. 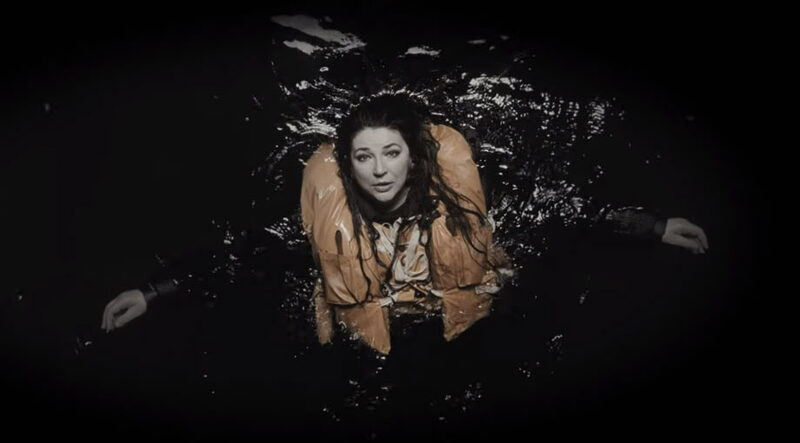 Taking to the stage for the first time since you started out in music cannot be one of the easiest experiences to go through, but Kate Bush sure pulled it together with her 3-part extravaganza 'Before the Dawn' in 2014. It's just as well too, because a hell of a lot of work went into the whole thing. We've drawn all the raffle winners! 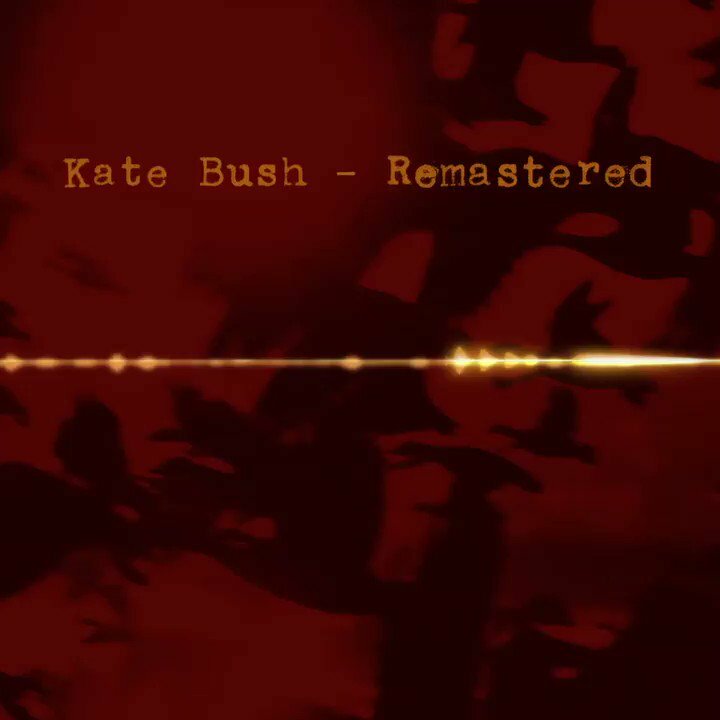 https://t.co/2pRo9YZJXw Crisis #CrisisXmas"
Kate Bush - Remastered will be released in November https://t.co/jqs8hQpnrc. Pre-order available from 2pm today.